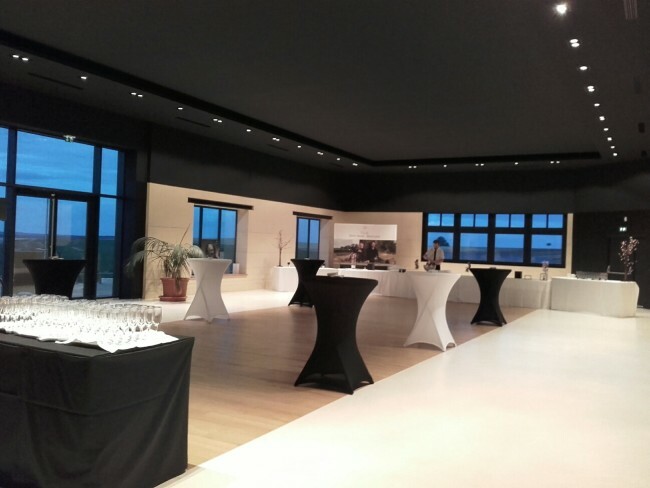 10 minutes from the A6 motorway, just 15 minutes from Auxerre, 1h30 from Paris and 2h30 from Lyon, Domaine Jean-Marc Brocard has reception rooms for organizing your business events. In a stimulating and warm environment, all the conditions are favorable to combine creativity and relaxation. 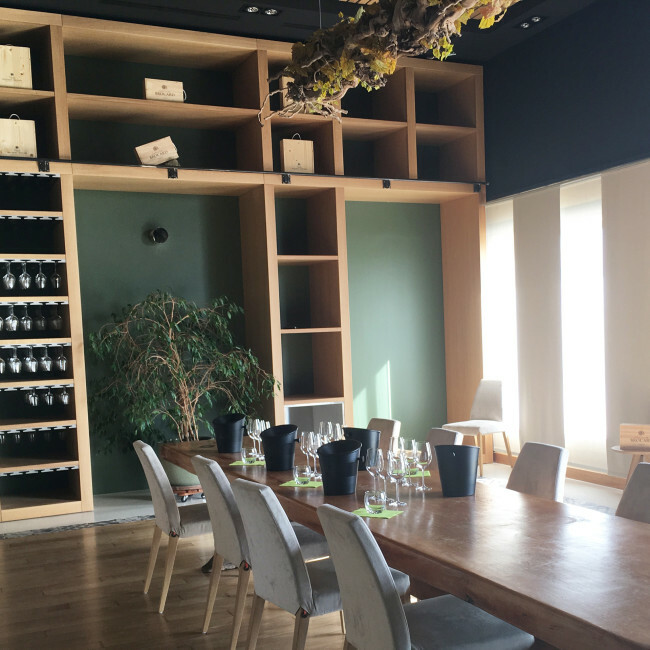 Located 300 meters above sea level in the vineyards, the Grands Crus room offers a 240m² surface. 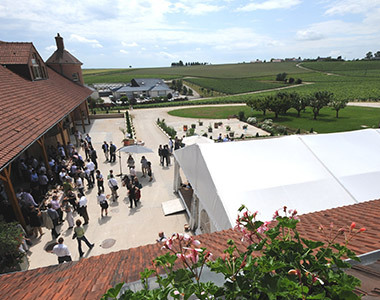 At the heart of the vineyards, it is a unique perspective on the plots of the Domaine and the Chablis Grands Crus vines. The Grands Crus dining area Jean-Marc Brocard can accommodate professionnal or personnal events. We invite you to contact us directly for organizing your project. Enjoy the elegance and charm of Jean-Marc Brocard salon located in the heart of the Domaine. 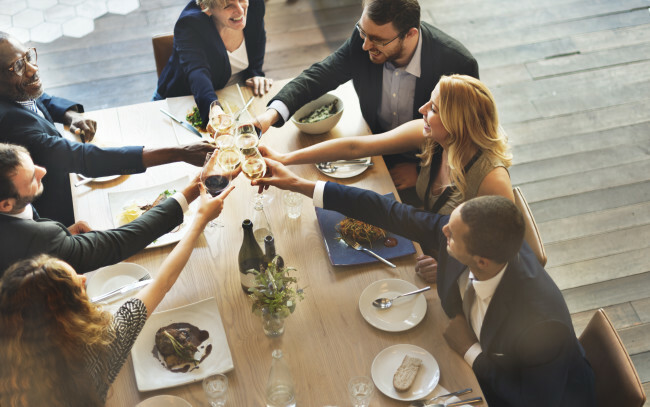 Enjoy a special area for a lunch with friends, a quiet collaborators meeting. A large fireplace, a library of old wines and a neat decoration will immerse you in a warm and friendly atmosphere. You can offer your guests food and wine gourmet agreements concocted under your eyes through the open kitchen to the living room. Screen and video projector available. 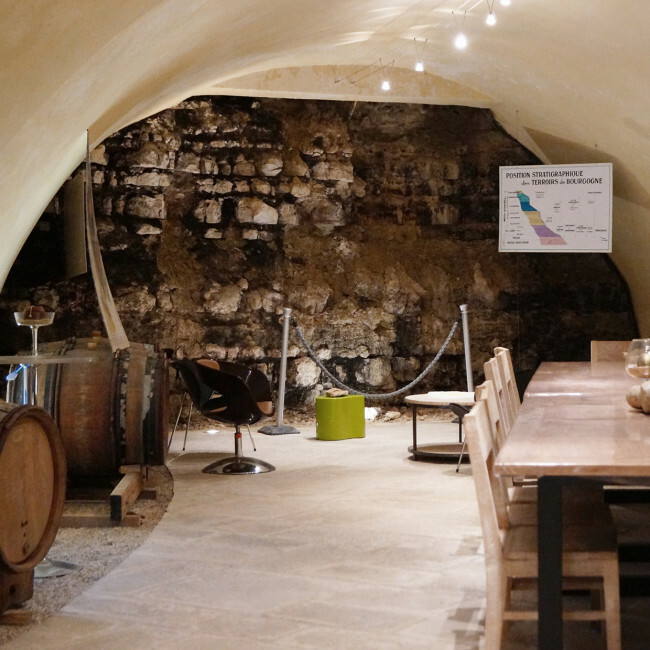 Dive into the atmosphere of a vaulted cellar with its Burgundian barrels. Discover the terroir of Chablis with the geological section presenting in front of you and you reveal the mysteries of the minerality of Chablis. In a friendly atmosphere, you can offer your guests a timeless setting to enjoy Burgundy specialties accompanied by wines from the Domaine. The esplanade allows you to welcome your guests open-air. This space will accommodate outdoor receptions, music concert and cocktail. You also have the possibility to install a tent and offer a lunch for your guests. Offer a unique experience to your co-workers. Recreational workshop and challenges are on the menu. In a gorgeous environment in the heart of the vineyard, we organize your teambuilding day to combine work and pleasure.